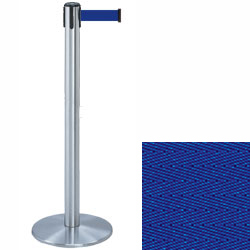 These silver stanchions with blue belt are made of strong metal and feature a round weighted base for stability in high traffic environments. 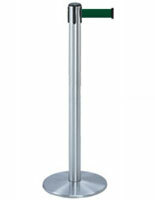 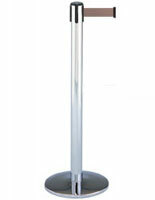 The floor standing posts measure 38" tall and have a 13.5" diameter support. 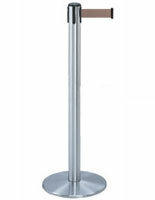 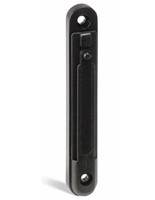 The metal stanchions come with a bright retractable strap that measures 7.5' long. 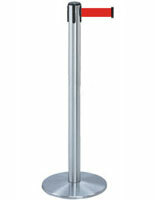 The stands are also available with a black or brass finish and a wide variety of other belt colors.